NASA has plans to one day send humans to Mars, and it hopes to use the Orion capsule to get them there. On Thursday, the agency will take a huge step toward that goal by sending the spaceship on a 4.5-hour test flight around the globe, looking to test its parachutes, heat shield and other equipment integral to an eventual trip to Mars. No humans will be onboard this time, with engineers instead operating Orion from the ground. Scientists are primarily concerned with testing Orion's heat shield, which will reach an estimated 4,000 degrees Fahrenheit, and its 11 parachutes. 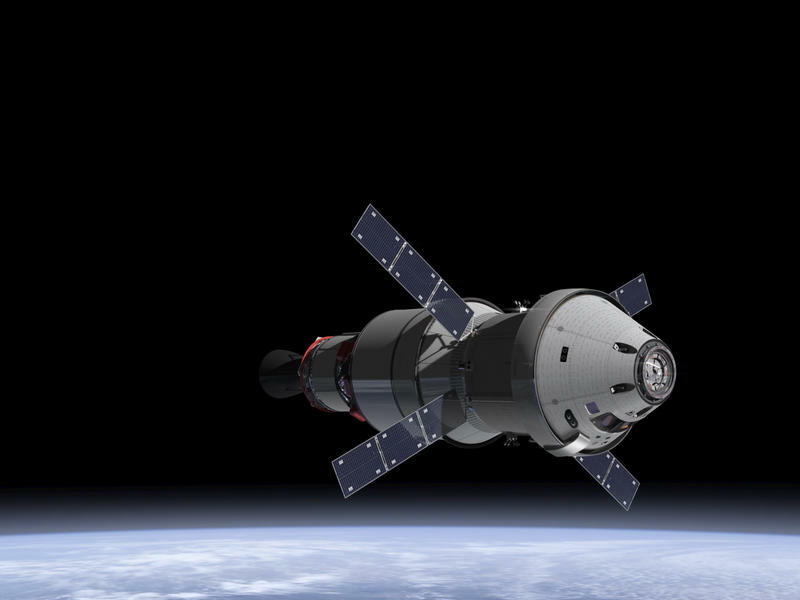 If all goes according to plan, Orion will eventually be paired with NASA's Space Launch System for future missions. For now, NASA is relying on the United Launch Alliance Delta 4 Heavy rocket; the massive hunk of metal is set to power Orion about 3,600 miles from Earth, or about 15 times further than ISS's current orbit. Once it returns, scientists estimate Orion will travel at about 20,000 miles per hour as it barrels toward Earth. "Everything we've done—the space shuttle, the International Space Station—in the past 40 years has been around the Earth," said Orion program manager Mark Kirasich. While the test flight will give scientists a better understanding of Orion's capabilities, it's also a significant launch for NASA because the agency hasn't made a spaceship designed to carry humans beyond the ISS since the 1960s. "Orion and the Space Launch System is about rekindling human space exploration and taking human beings to places that we've never been, to return to the vicinity of the moon and to push farther… to eventually go to Mars," Kirasich said. Orion will eventually land some 600 miles off the coast of San Diego, where NASA plans to recover it. Weather has been inclement over the past few days here in Southern California, so hopefully things clear up in time for rocket's descent on Thursday.